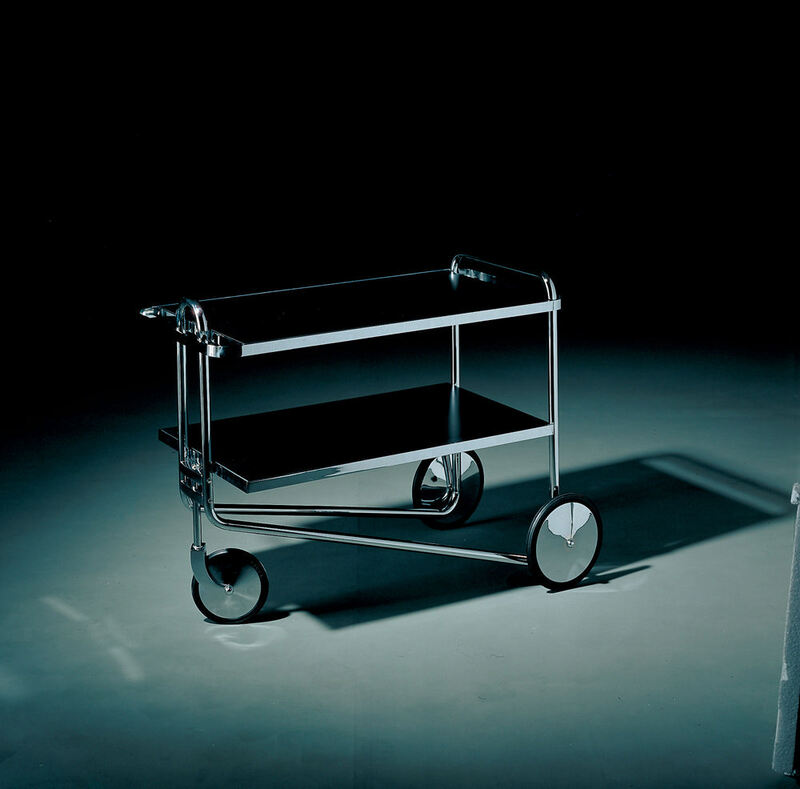 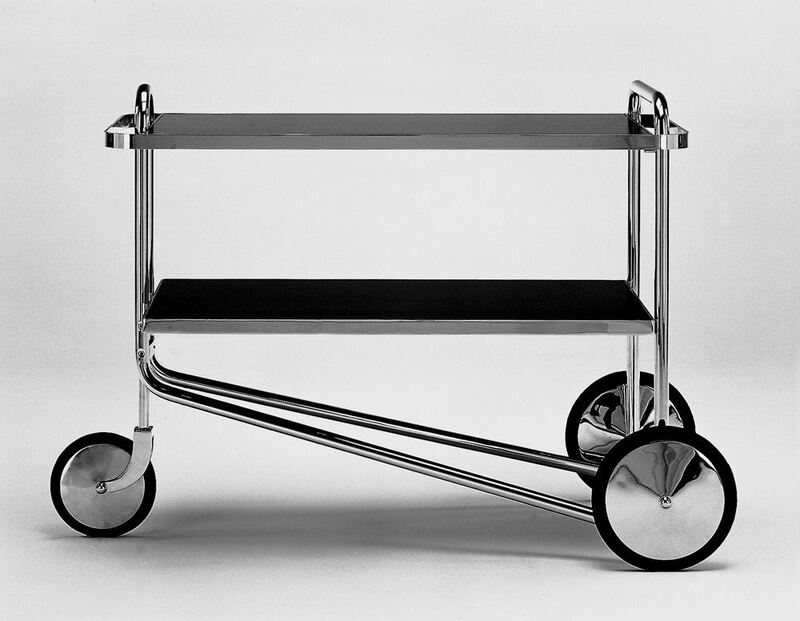 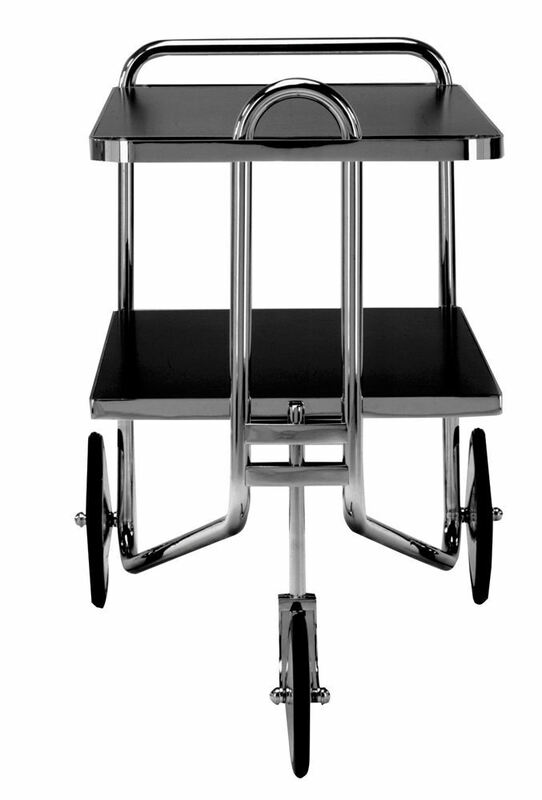 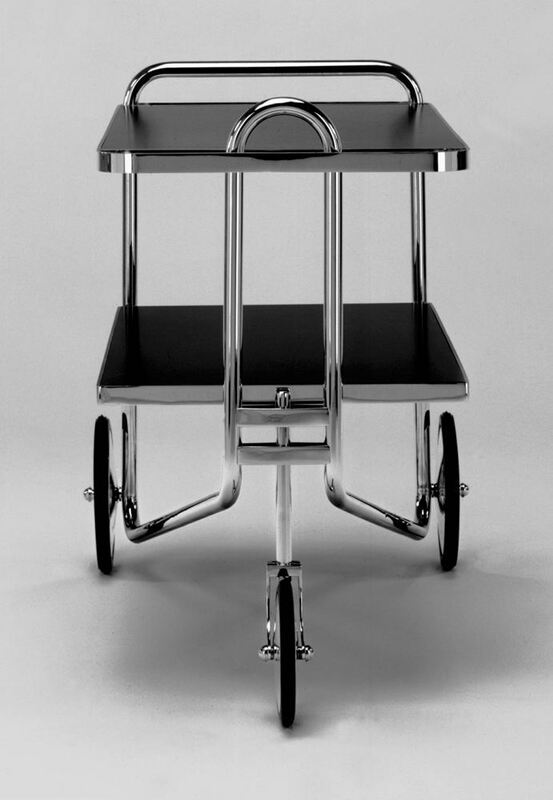 Serving cart. 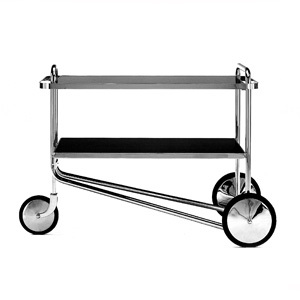 Frame in round tubular steel with polished chrome finish. 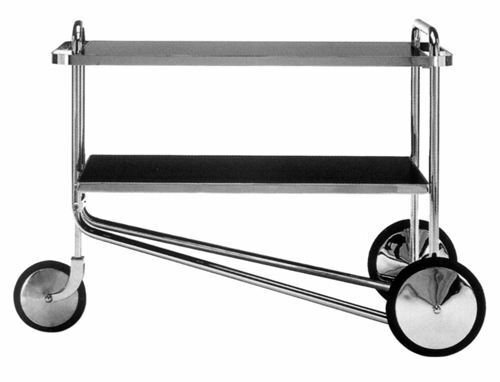 Edges, wheels and joints in brass with polished chrome finish. 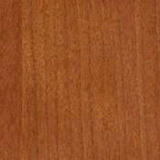 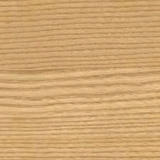 Top in laminate, embossed lacquered MDF, bright lacquered MDF, ashwood or Cherrywood veneer.